14th August warms up the blood of 180 million Pakistanis as on this day in 1947 the Muslims of the British India got rid of the yoke of slavery and of the British rule that was imposed upon the people of Indo-Pak sub continent almost a century earlier. Pakistan today is an important South East Asian country progressing and making its presence felt. Although this year the independence celebrations have been marred by one of the deadliest and devastating floods of our history, yet the day is a remembrance of the sacrifices given by our forefathers under the guidance and leadership of Muhammad Ali Jinnah, revered as the Quaid-e-Azam. 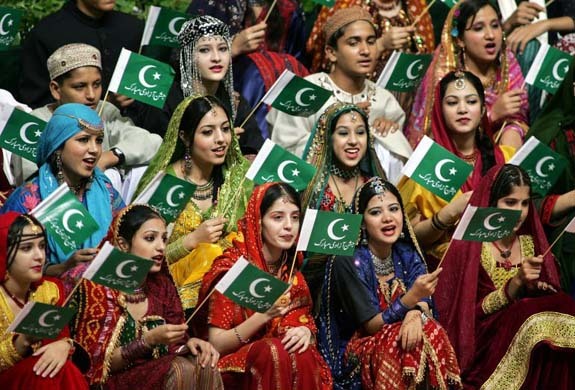 The young and old of Pakistan aspire for a modern, progressive, developing and Islamic Pakistan as was envisioned by the father of the nation, Muhammad Ali Jinnah. Pakistan today faces a daunting challenge as it is faced the fall out of the war on terror of another country fought on another land. Being dragged in to this useless war, where mercenaries under the garb of Taliban have been infiltrated into Pakistan to destroy peace and stability of Pakistan. There have been countless terrorist acts, suicides bombings that martyred thousands of innocent Pakistanis. The Armed Forces of Pakistan are firmly and gallantly fighting the miscreants and have in the process lost thousands of its ranks. The independence day today falls in the sacred month of Ramadan, as it did in 1947 on the eve of its independence. At that time the aspiring people of Indian subcontinent needed an independent Pakistan where they could live freely. Today, faced with many challenges, the war on terror and devastating floods, Pakistan needs its people to stand united to thwart any effort by the enemies of Pakistan to undo its foundations and donate as much as one can for the rehabilitation of some 15 million people affected by the floods across Pakistan. 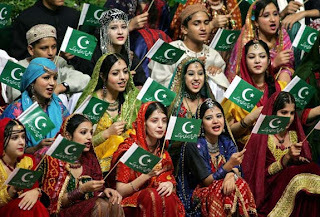 Pakistan Zindabad (Long live Pakistan).